Whether it's James Gillary on an Anya Hindmarch tote or Julie Verhoeven's illustrations on a M.A.C palette there is nothing so pleasing to me as a marriage between art and fashion (although if they are somewhat related, is this like marrying your cousin? Eh). Louis Vuitton is no stranger to this concept, having flirted with the likes of artists Murakami, Verhoeven, and Sprouse but to name a few. 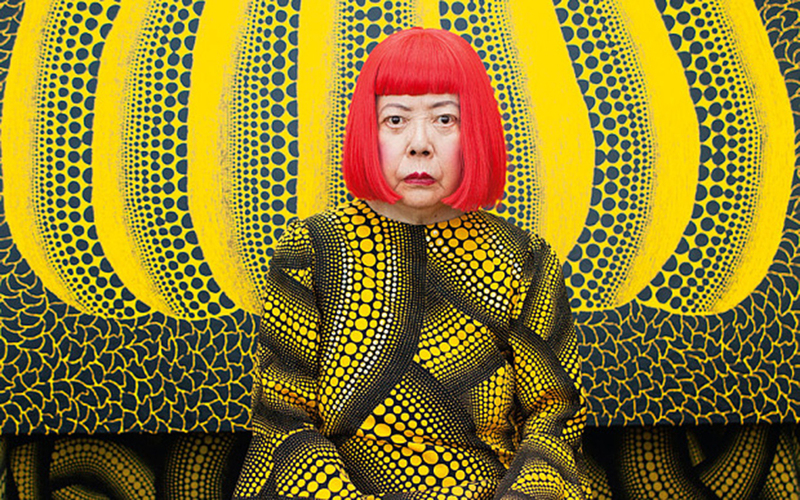 Of all the artist Louis Vuitton have teamed up with, my favourite collaboration yet has to be the Yayoi Kusama and Louis Vuitton collaboration of Summer 2012. 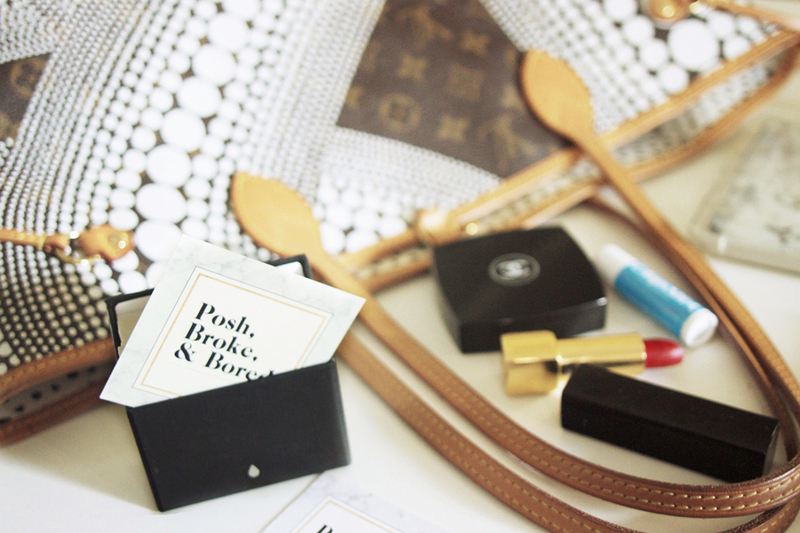 I have two handbags from this collection - which I don't think I've ever shared on Posh, Broke, & Bored - one of which is my current go-to day bag so I thought I'd do a blog post about it, tell you a little more of one of my favourite artists, and show you what's in my handbag. 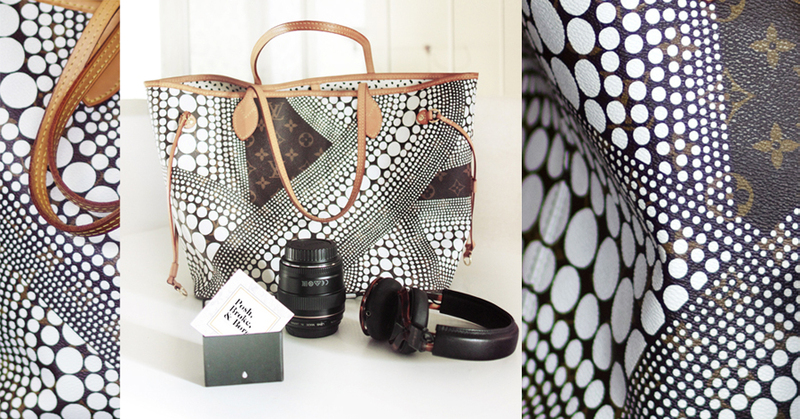 I've always loved the shape of the Louis Vuitton Neverfull, as much as I find the thin straps don't distribute the immense weight of my camera and other gadgets as well as I like. Perhaps the shape is better suited to carrying lighter objects like jumpers, scarfs, and the sort - but somehow this Yayoi Kusama edition has never strained my shoulders as much as other Neverfull variants have. I do love the Neverfull though for the many print versions it comes in - I have at least four - perhaps it's the collector in me that likes having many of the same thing, but different. "My artwork is an expression of my life, particularly of my mental disease... My art originates from hallucinations only I can see. I translate the hallucinations and obsessional images that plague me into sculptures and paintings." “A polka-dot has the form of the sun, which is a symbol of the energy of the whole world and our living life, and also the form of the moon, which is calm. Round, soft, colorful, senseless and unknowing. 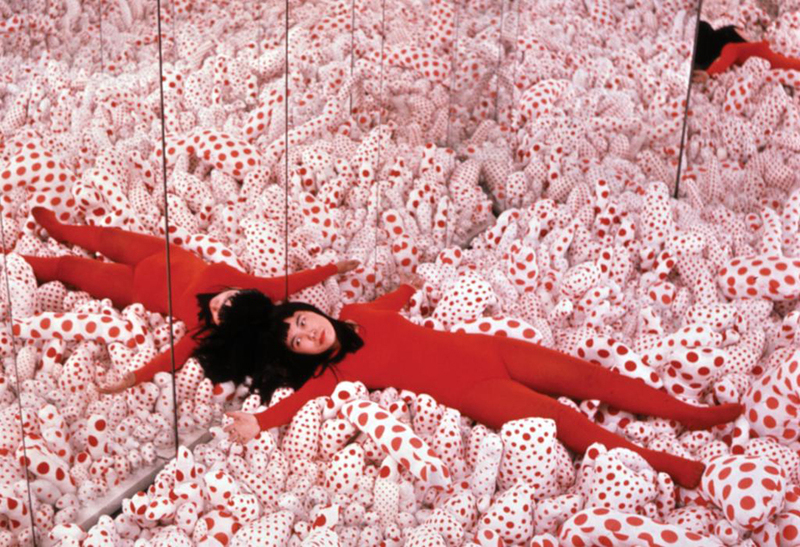 I first came to know about Kusama-sensei's work in 2009, when I was confronted by her polka dot mushrooms on the roof of the Hayward Gallery. 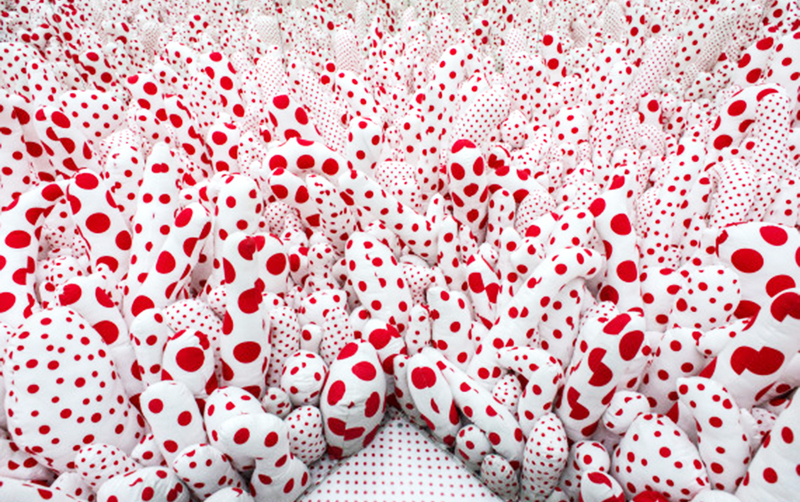 Fast forward to three years later, in 2012, and Kusama-sensei's iconic work popped up again at the Tate Modern. Completely enamoured by the dots - you could say I was seeing spots - I was thrilled when soon after her collaboration with Louis Vuitton made its debut. The rest, as they say, is history - I went completely dotty and snapped up what I could from my favourite French luggage brand. The problem with my never full is that it's always full... mostly of stuff i absolutely don't need to carry around with me! So much love for Yayoi! This collaboration was one of LV's best. I even remember when it was released and who I was with when I went to the store. That's how much I love this collection. That bag is gorgeous and I love the background of the artist. 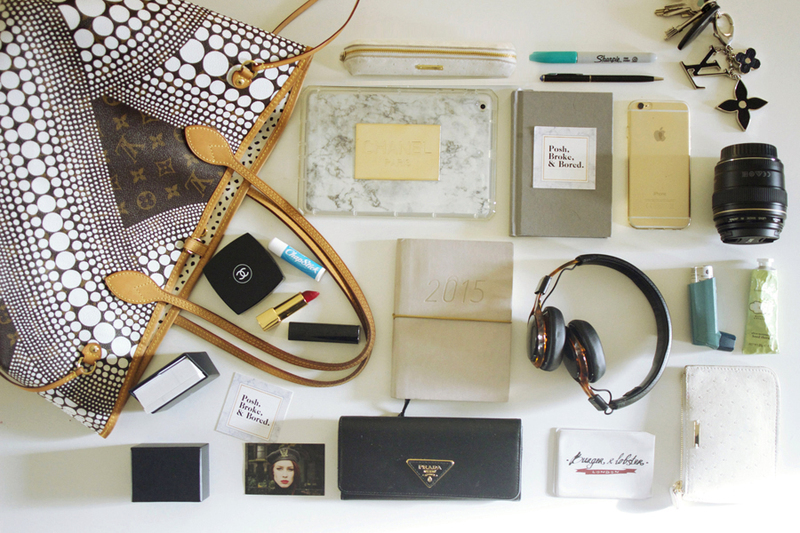 Such a fab way of creating a bit more interest around a simple 'What's in my bag' post. Unfortunately, it's going to be a good few more years before I can start owning beautiful items like this. Lovely post though! This was definitely my favourite LV collab too. Super classy and timeless! Great post, I love the photographs :) I love your blog and if you ever get a chance to check out mine I would be delighted, thanks! 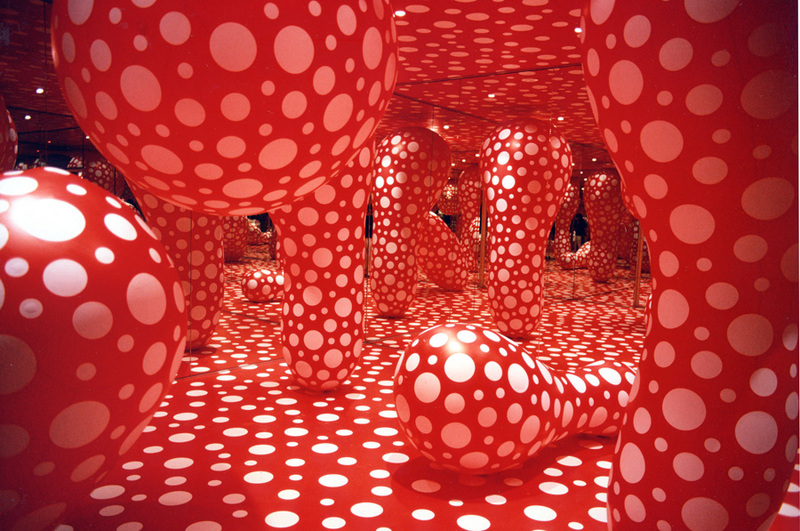 I love Yayoi Kusama's work, the exhibition at the Tate was breathtaking!